The tournament involved eights teams (160 players) made up from the following organizations: ALLIANCE Hockey, Greater Toronto Hockey League (2 teams), Hockey Northwest Ontario, Northern Ontario Hockey Association, Hockey Eastern Ontario, and the Ontario Minor Hockey Association (2 teams). The purpose of the tournament is to showcase the best 2000-born players in Ontario and introduce them to Hockey Canada’s Program of Excellence. 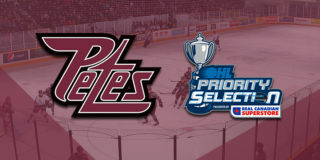 Having ten prospects represent the Petes at the tournament makes them the most well represented OHL team at the tournament. Petes General Manager Mike Oke touched on how the Petes are able to draft so well. 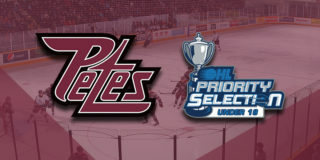 The 2016 selection class is not an anomaly, but the continuation of a trend for the Petes. The Maroon and White had seven players in the Gold Cup in 2013; seven in 2014 and nine in 2015. Petes standouts such as Matt Spencer (2013), Jonathan Ang (2014), Dylan Wells (2014), and Zach Gallant (2015) have laced ‘em up in the Gold Cup before dawning the Maroon and White. This tournament offers development opportunities outside of regular OHL play. 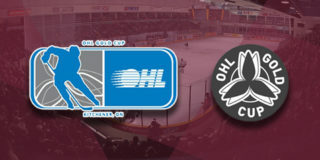 “[The OHL Gold Cup] gives them the opportunity to play with and against the top players of their particular age group. Also, this tournament will give each of those selected players a boost to their confidence,” Oke said. 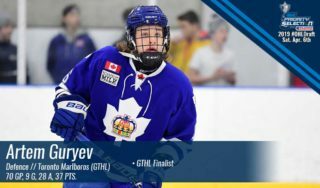 Even more impressive about the group of prospects named is that two of the Petes’ top three picks, Pavel Gogolev and Seymon Der-Arguchinstev, were not included because they are Russian and not Ontario-born, making them ineligible for the Hockey Canada Program of Excellence. The tournament was indeed a success for the future Petes. Four prospects finished in the top fifteen in scoring, including Matt McNamara (3g, 3a), Chad Denault (2g, 2a), Brady MacDonald (1g, 3a), Declan Chisholm (1g, 3a), while goalie Hunter Jones was a perfect 3-0 while posting a 2.33 GAA and .929 save % en route to an OHL Gold Cup championship. 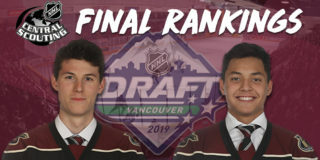 Click here to see how these prospects fared at Petes Development Camp, and for more stories about past, present, and future Petes, download the free Petes Mobile App for iPhone or Android today!